The mission of my practice is to care for people's lives; to affect them in a positive manner so their lives may be enriched with a healthy, beautiful smile. 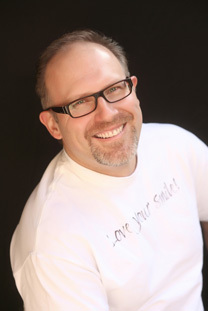 Having come from three generations of dentists, I am committed to building upon my family's tradition of excellent family dental care in Rocklin, Roseville and the surrounding communities since 1998. Additionally, I take pleasure in assisting a variety of charity organizations in raising awareness and resources, and I am committed to helping build a healthier community, and have had the opportunity to do so through the SDDS Smiles for Kids charity program. After graduating in 1997, from the University of the Pacific's Arthur A. Dugoni, School of Dentistry San Francisco, I embarked on private practice while continuing my academic experience by later returning to UOP as an adjunct professor in dental anatomy and as a course director of the international dental studies program. I continually strive to broaden my education, having completed extensive cosmetic training at the University of California, Los Angeles and more recently receiving specialized training for the placement of dental implants. I will continue my quest to provide a deeper range of skills and services for my patients. I am devoted to various professional organizations, such as participating for the 6th year as a member of the Board of Directors of the Sacramento District Dental Society (www.sdds.org), Peer Review Committee, The California Dental Association (www.cda.org) including as a volunteer at the Scientific Sessions, American Dental Association (www.ada.org), and the American Academy of Cosmetic Dentistry (www.aacd.com). I have committed to over twice the recommended minimum continuing education standards set forth by the California Board for Licensure renewal. My off time is spent with my family, fly-fishing, backpacking, viticulture and enology with the Placer County Wine and Grape Growers Association (www.pcgga.org), remote control aviation with the Red Barons (www.redbarons.org), the Academy of Model Aeronautics (www.modelairplanes.org), the Sacramento Area Rocketry Group (www.sargrocket.org), National Association of Rocketry (www.nar.org), model railroading (www.nmra.org), and archery (www.mayaarchers.com).